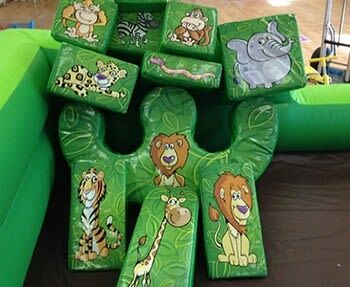 Jungle soft play 14x14 This soft play arena is great for the little ones aged 6 and under at parties, the dipped doorway means that children can get in and out of the pit without needing help. 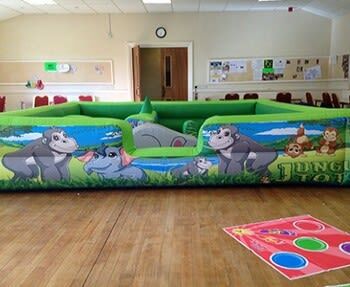 The walls are low enough to keep the children enclosed safely with parents being able to see them if they are standing or sitting. 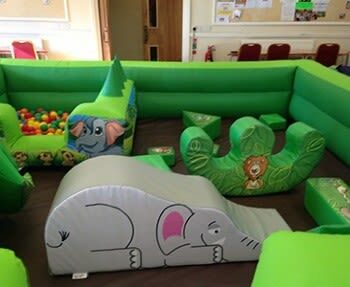 The soft play arena features fantastic artwork, a ball pool at the back and three air jugglers as well as the soft play shapes.